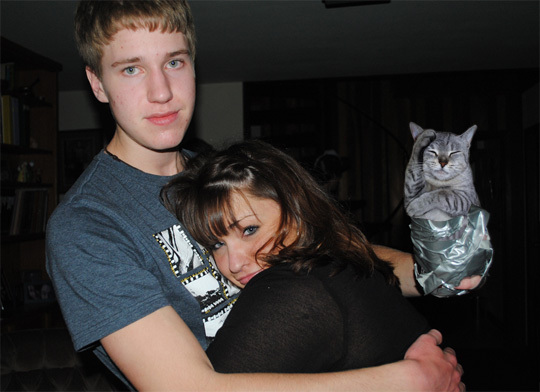 This poor Boozecat has been duct taped into someone's hand and forced to endure an awkward hug. Boozecats hate human love. They want all the attention to themselves.